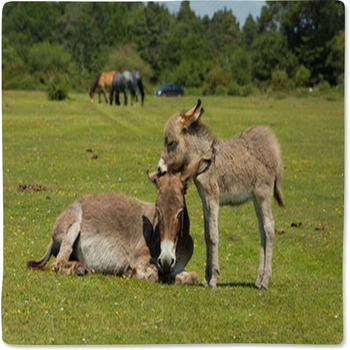 The donkey is one of the most endearing animals in the world. 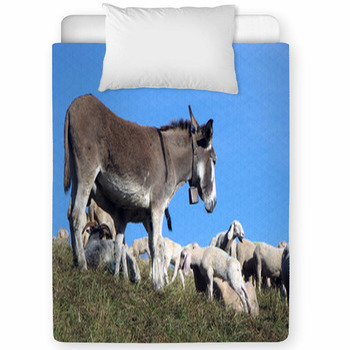 It’s a perfect animal to have featured on your nursery’s bedding set. 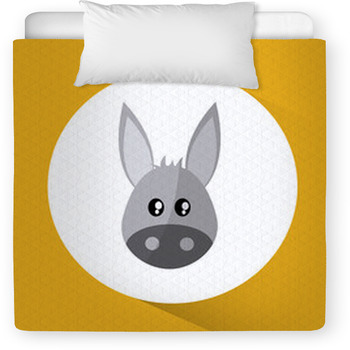 You can order a great donkey baby bedding set that features a donkey on its body. 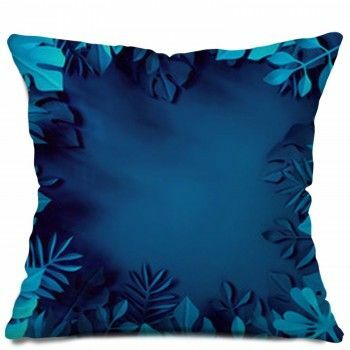 This is a great look that can add something fun and unique to have in your nursery. 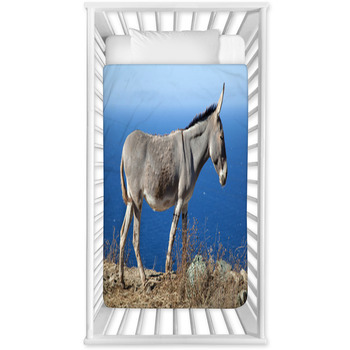 We have some cartoon designs that feature a number of great donkeys on them. 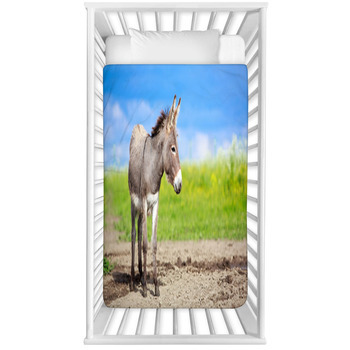 We use a few light colors around our bedding sets and we also use some gray colors on the particular donkeys that we have. 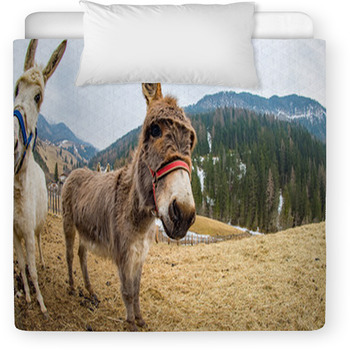 The ears on these donkeys will add something rather entertaining and fun to have. 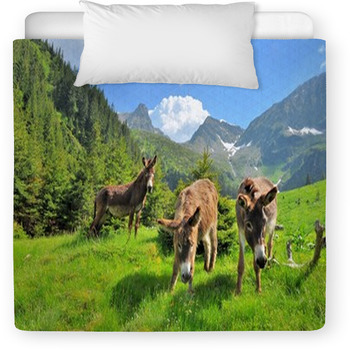 You can always get a great donkey baby bedding set that features real pictures of donkeys on it too. 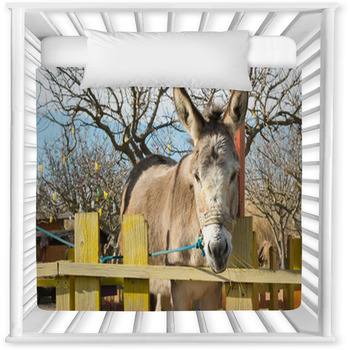 Some of our scenes feature head shots of donkeys with their facial features being rather easy to spot. 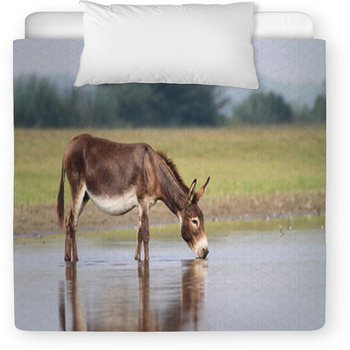 The shots we have include donkeys engaging in a variety of activities. 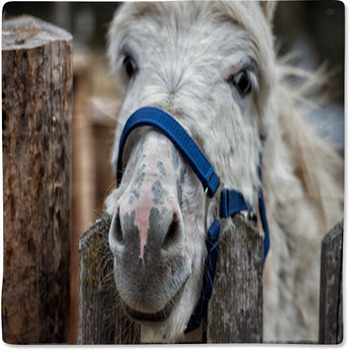 These include ones where they are drinking water, roaming in fields and much more. 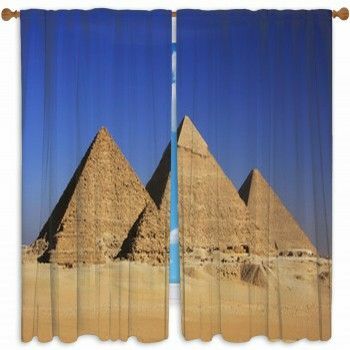 These make for some entertaining things worth trying out in your nursery. 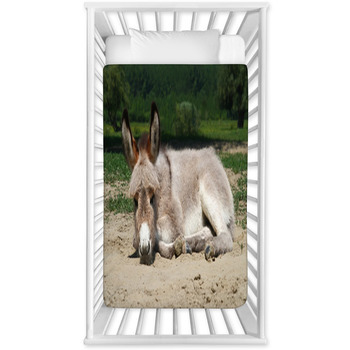 You can order all types of pieces for your donkey baby bedding needs. 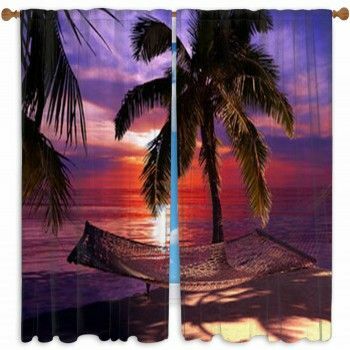 You can order crib bumpers, sheet sets and pillowcases for your nursey. 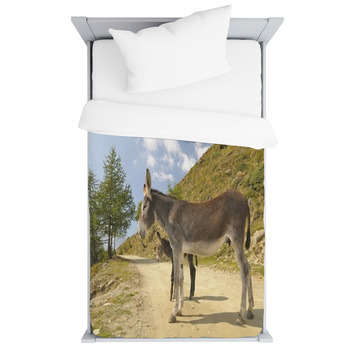 Larger sheets for a toddler bed can also be ordered with all of these donkey features in mind.